A/B split testing marries creativity and data analytics to create more powerful, more effective campaigns. A/B split testing marries creativity and data analytics to create more powerful, more effective campaigns – here’s everything you need to know. A/B split testing used to be a niche skill, reserved for a few techie-types. But increased competition and a need for greater personalisation in marketing messages means that all marketers now need to be able to understand the techniques involved. This quick guide will help you understand easily what A/B split testing is and why it is so important. You select an aspect of your message, such as the subject line, and create two different versions. You now have two, almost identical messages. You split one of your target groups in half to create two lists. You send one version of the email to the first list and the other version to the other list. Once the data has been gathered, the key is to compare which of the two subject lines was the most successful. This insight can then be applied to your next campaign and another element of the message, such as the colour of the buttons or the length of the body text, can become part of the next cycle. 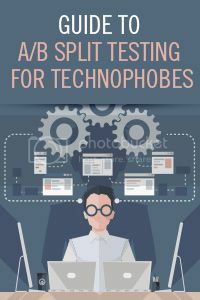 A/B split testing is iterative, a never-ending cycle of tuning and improvement intended to improve conversion rates at every possible opportunity. The techniques can also be applied to your social media, website design and any other aspect of your marketing. Why does A/B split testing matter? Because A/B split testing is focused on improving your messaging and communications for profit, no marketer can afford to ignore it any longer. Obama’s 2012 re-election campaign has become legendary for its use of A/B split testing to generate millions of dollars in donations. The same A/B split testing techniques were applied to various aspects of Obama’s digital campaign including the campaign website. These insights were coupled with other big data analysis techniques to raise over $500 million in online donations. Don’t forget, you can A/B split test any aspect of your digital marketing to try and gain a competitive advantage. A/B split testing can be applied to any aspect of your marketing. A/B split testing is the marriage of creativity and data analytics – both are equally important. The results of A/B split testing are often surprising and counterintuitive – never assume that an idea will not work without testing it first. A/B split testing works best with a big subscriber list.